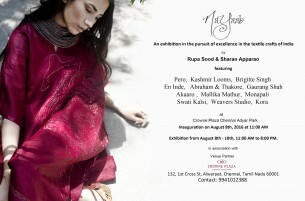 Nayaab (Chennai), an exhibition in the pursuit of excellence in the textile crafts of India. SHE LL , a textile commission by swati kalsi was part of Fracture: Indian Textiles, New Conversations. 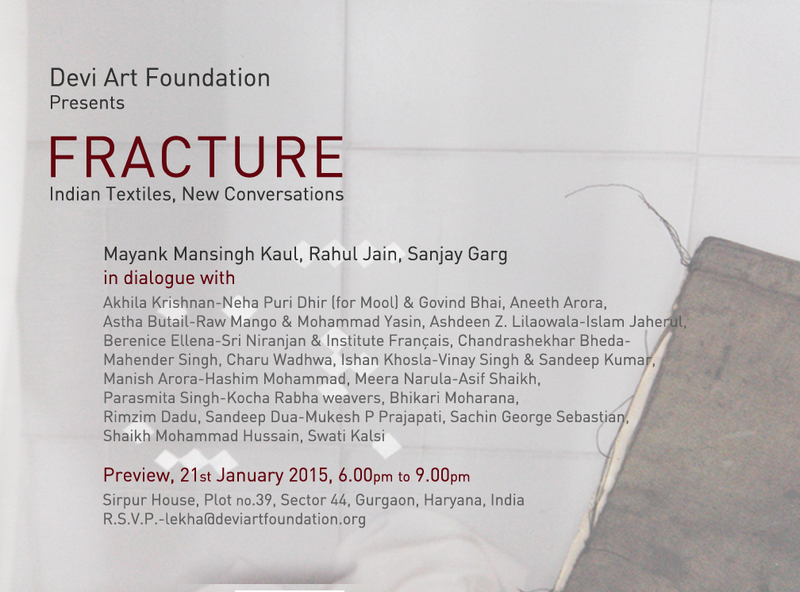 A show co-curated by Rahul Jain, Mayank Mansingh Kaul, and Sanjay Garg, involving an array of textile commissions by Lekha and Anupam Poddar founders of Devi Art Foundation, Gurgaon. © 2015 Pin Board. All Rights Reserved.